A challenge that often confounds federal grant recipients and subrecipients is what the federal government calls “procurement by competitive negotiation.” This method is used to procure a wide range of items and services needed to implement a successful project or program. The process has to be carried out properly, however, in order to pass muster with a federal awarding agency or pass-through entity, and to meet project needs. 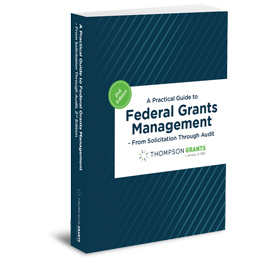 Applicable federal rules establish general policies that must be followed in all grant-funded procurements. Then they set parameters for when competitive negotiation can actually be employed. But they come up far short of providing useful instructions for how to craft and use the key tool for carrying out the purchase — the request for proposals. Shortcomings become all too visible when a grantee’s solicitation hits the street. Adverse consequences can result if only a limited number of sources submit offers in response to an unclear and poorly organized solicitation. Even if the responses are adequate, defects in the document can lead to costly delays involving interpretation, revision or even reissuance. Often, when problem elements of the RFP find their way into a purchase contract, they become a likely basis for contract administration disputes. This webinar will highlight the requirements for employing competitive negotiation for federal grant purchases and then drill down on the best practices to enable you to conduct a successful RFP procurement process. Bob Lloyd, Principal of Federal Fund Management Advisor™ — a respected authority on policies and practices affecting the award, administration and oversight of federal awards — will conduct this practical “how-to” program aimed at assuring successful procurements.